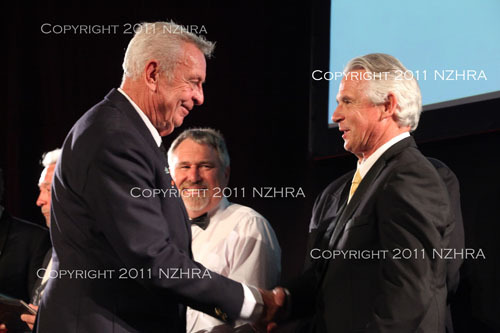 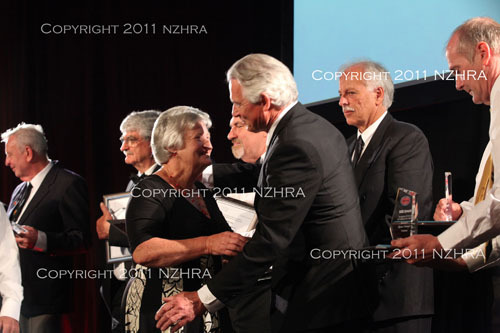 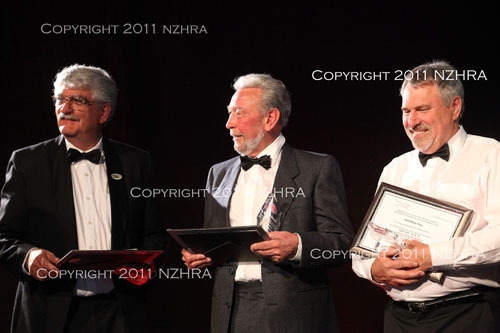 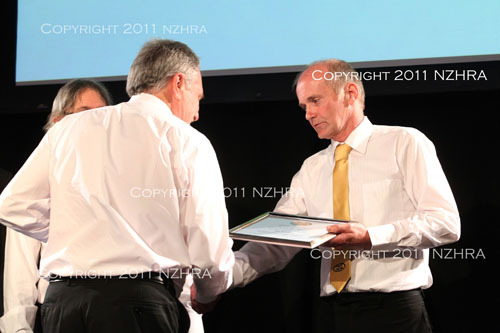 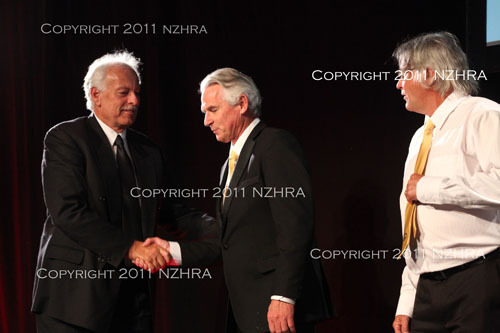 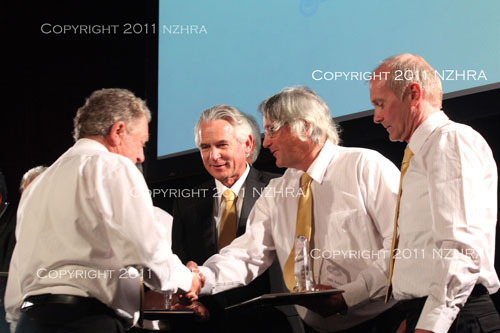 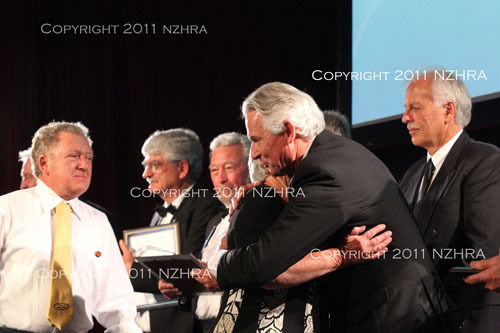 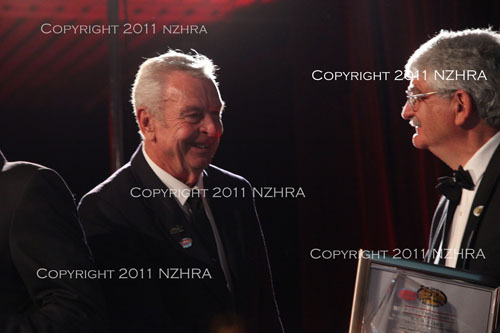 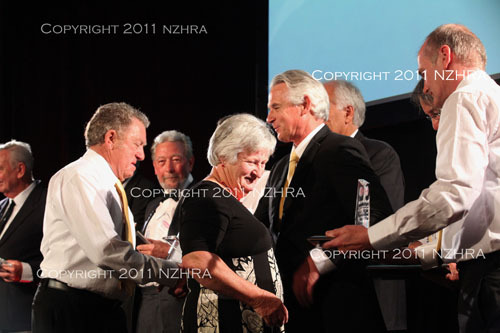 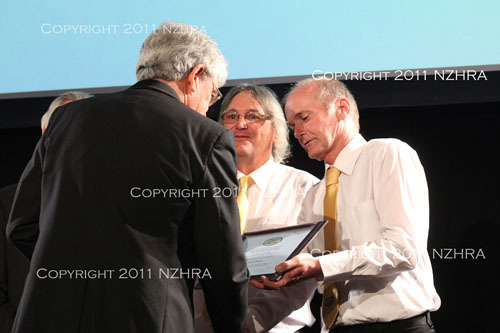 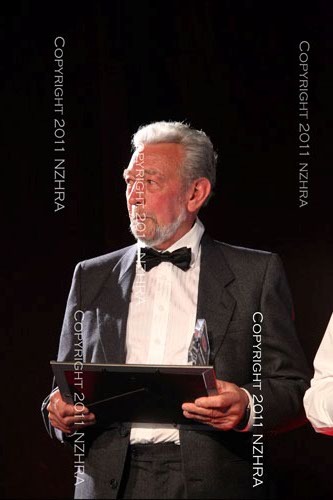 Introduced during the NZHRA 50th Anniversary year in 2011, the RSH Award was established, it is an Honour Roll about people who have put hot rodding on the map for New Zealand. 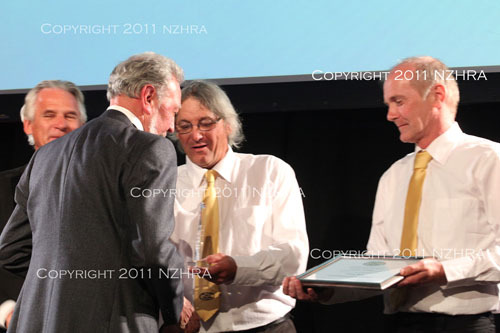 NZHRA Clubs are asked to put forward nominations for the Classes every five years. 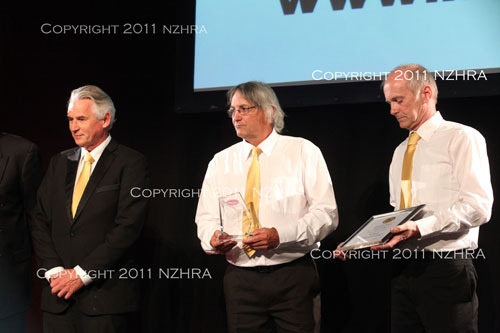 Those who have put Hot Rodding on the map in New Zealand through their supply, manufacture or have commercial involvement in hot rodding. 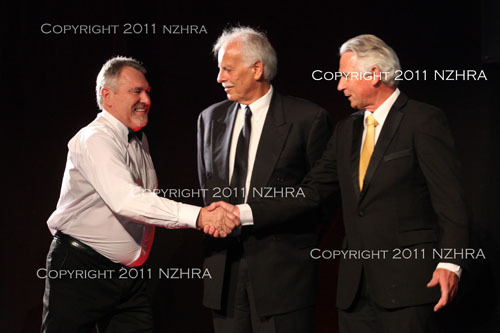 Those who have put Hot Rodding on the map in New Zealand through media publications or support in the media. 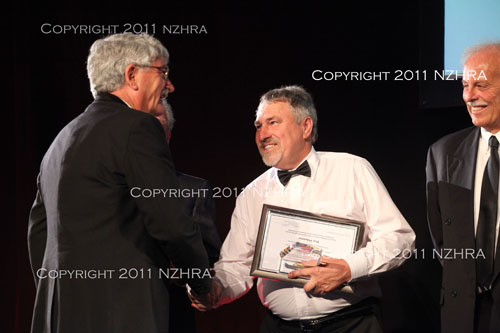 Those who have put Hot Rodding on the map in New Zealand by providing voluntary services at events and through other avenues. 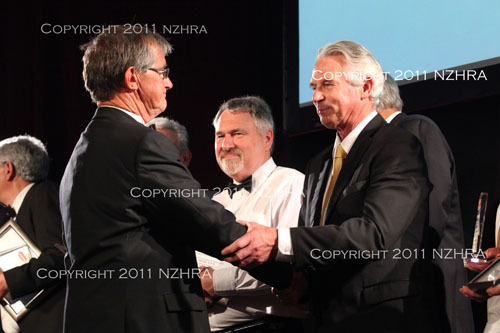 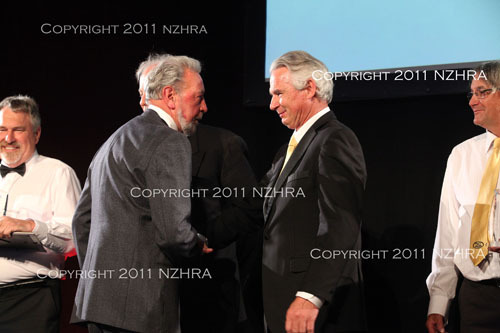 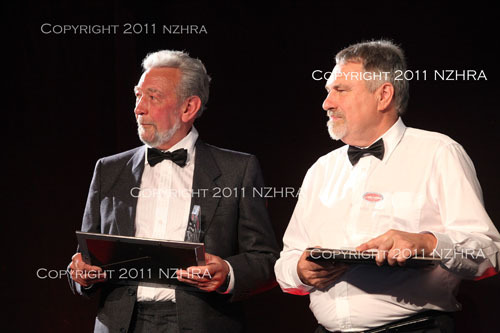 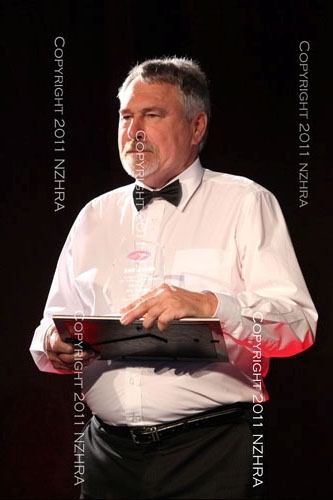 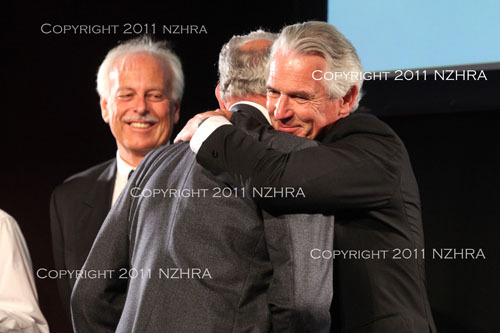 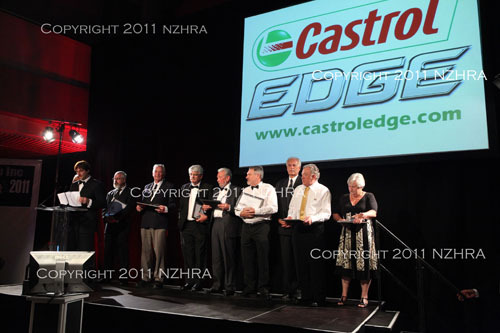 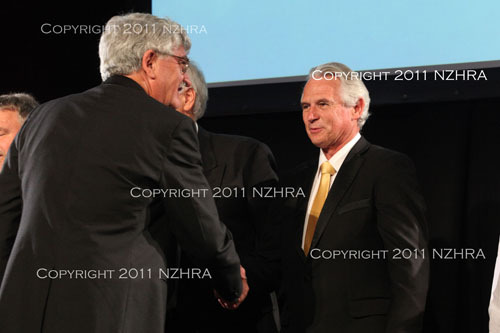 The first presentations will be awarded at the Castrol Edge & Classic Cover Insurance Ltd NZHRA 50th Anniversary Dinner. 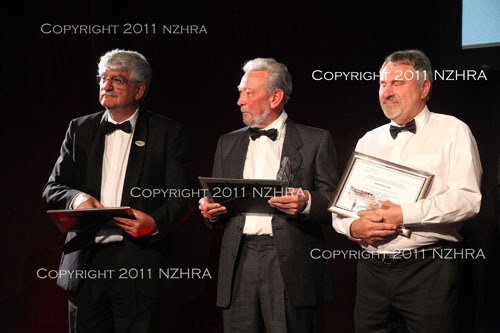 Every five years there will be up to five people placed on the list. 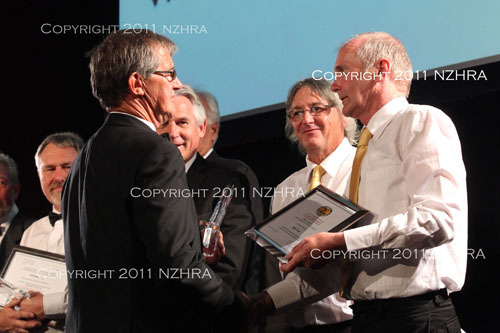 From left: Ralph Wright, Graeme Berry, Garth Hogan, Pete Osborne, Paul Grace (accepting on behalf of Rob Campbell), Errol Uttinger, Brian Ward, Elaine Uttinger, Tony Johnson. 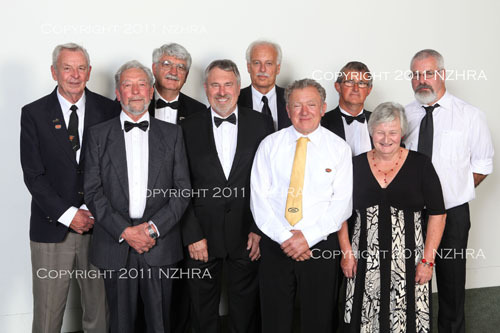 Absent Rob Campbell and Barry Livermore. 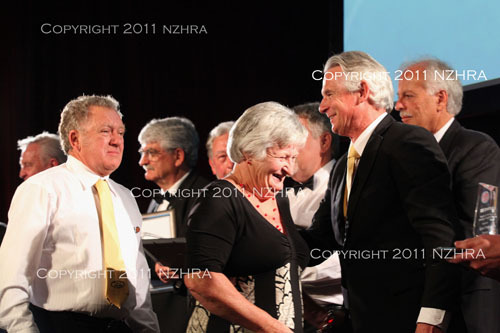 Digital copies of these photos are available for purchase through the NZHRA office for $10 each. 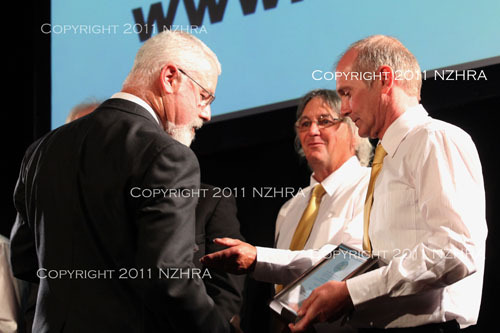 Sent via email and without watermarks.